The Red Spade Open returns in October with a $1 million guarantee. Learn more in the BlogNews Weekly. Discover how Martins Adeniya played a hand during the EPT Barcelona Main Event in this week's BlogNews Weekly. Tony Dunst shares a guide on how to play Big Slick. Learn more in this week's BlogNews Weekly. 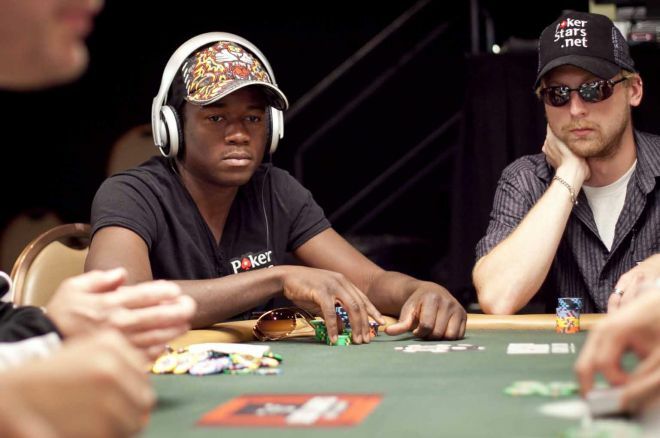 Each week, PokerNews brings you insight into the happenings at the major poker sites. Featuring the most popular blog posts, BlogNews Weekly is your one-stop shop for all your poker blog highlights. This week, the BlogNews Weekly brings you highlights from the latest PokerStars, Full Tilt, and partypoker blogs. In the midst of the 70-event World Championship of Online Poker (WCOOP), which features $45 million in guaranteed prizes, PokerStars has announced the return of the Red Spade Open on October 4 at 15:00 ET. The Red Spade Open features a reasonable $55 buy-in and a more-than-generous $1 million guarantee. Players will not only be striving for the top prize of at least $100,000, but will also have a chance to collect more money along the way with a $500 bounty being awarded any time a player with a Red Spade is knocked out. What's more, any player that knocks out Ike Haxton will be rewarded with a double bounty of $1,000! Learn more on the PokerStars blog about the Red Spade Open. The 2015 European Poker Tour Barcelona Main Event broke new records in attendance with 1,694 players ponying up the €5,300 buy-in. Poker legend John Juanda boosted his Poker Hall of Fame chances after winning the event for €1,022,593 after a three-way deal at the final table. In Full Tilt blog post titled EPT Barcelona Main Event Hand History, Full Tilt Ambassador Martins Adeniya talks about a hand he experienced early on in that tournament with players all near the starting stack of 30,000 chips and blinds at 75/150. The hand starts innocently enough with Adeniya calling a multi-way flop with and checking a rainbow flop of . The action gets more serious as the hand moves on with Adeniya bluffing the turn and river. Adeniya goes on to detail his thought process on the hand and is happy with the way he played it regardless of the outcome. Head to the Full Tilt blog to discover more about how Adeniya played an early hand in the EPT Barcelona Main Event. Players often do not know how to react when they receive , otherwise known as Big Slick. Partypoker pro Tony Dunst, who frequently gives out free advice on the site's blog, provides a very helpful guide to anyone having trouble playing this hand in a blog post titled Teach The People: How To Play Ace-King. Dunst breaks down exactly what poker players should be thinking based off their stack sizes, position, and table dynamics. To start things off, he recommends that in just about every situation players do their best to get all their chips in preflop regardless of their position when they have 20 big blinds or less. On the flip side, Dunst informs the poker community that most of the time it would be a mistake getting all your chips in with at least 100 effective big blinds. He still believes this is a great hand to three-bet with in these situations; however, he cautions that players should either call a four-bet or give up on their hand depending on the type of player to make this raise and how big the four-bet is. Discover on the partypoker blog how Tony Dunst recommends to play Big Slick.